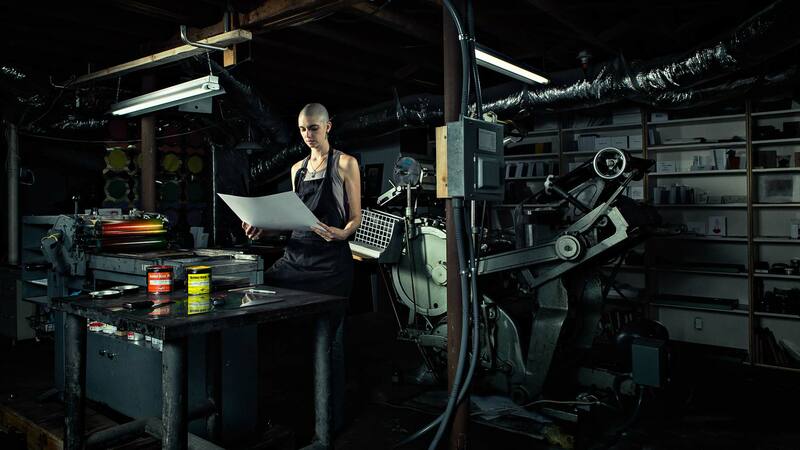 Environmental portrait of letterpress artist, designer and social activist in her basement art studio, known as lenspeace. She is shown examining a letterpress print after it has come from machine. Photographed by Atlanta portrait, editorial and advertising photographer Nick Burchell.